Play. Find hidden numbers in the pictures. Play. 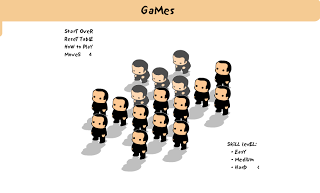 Set Online is based on Set, The Card Game, first brought to my attention by Cory Doctorow here. Basically, you have to make sets of three based on facets of color, shape, shading, and number. Each facet must be all the same or all different. Tutorial here. 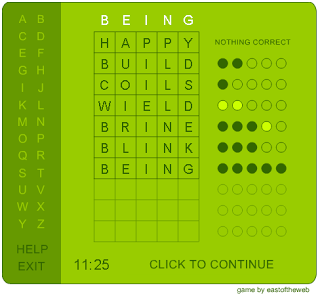 This game has the ability to rewire your brain. Play. Control two characters at the same time. Here. Play two avoidance games simultaneously. One with your left hand. The other with your right hand. Play. 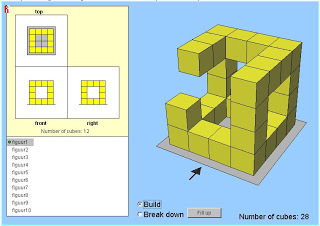 Make the shape on the left using cubes. Sounds easy, but challengingly difficult. Play. New twist on an old favorite. 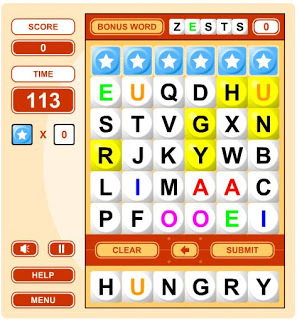 Jumble requires you to make words and unscramble. This time around, you must fill quotas and race against time. Play. Make words with letter tiles. Make it on the hi-score list. Here. 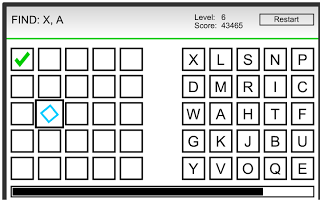 A really good brain workout which consists of a whole bunch of IQ puzzles. Here. 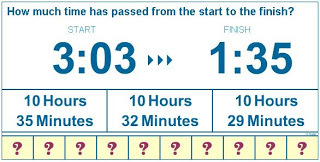 You're given 2 times and you have to indicate how much time has passed. A little like the Brainage game. Play. 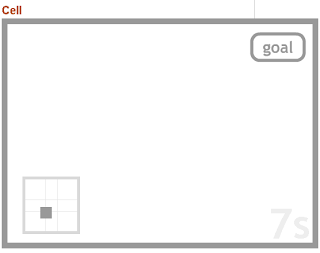 Click on the numbered tiles so that they add up to the target number. Play. Kind of like solitaire meets Tetris where you have to combine blocks of 4. Play. You're shown a bunch of cubes. Count how many there are. Here. 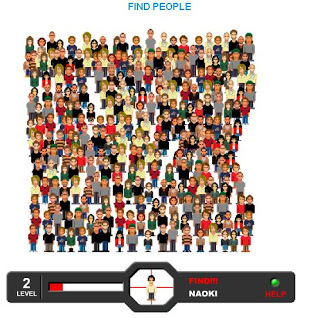 Like Where's Waldo?, but made into an online game. Spot the selected person in the crowd. Lots of fun. Play. 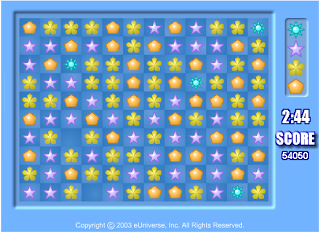 Connect pairs of tiles and clear the board. Play. Copy the pattern you're shown. Do it quick or else the pattern will disappear. Very good brain game. Here. 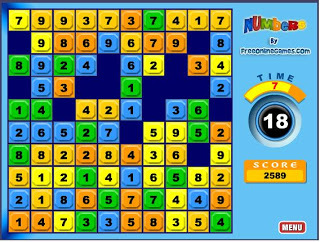 Very challenging game where you must click on numbers as quickly as possible. Play. 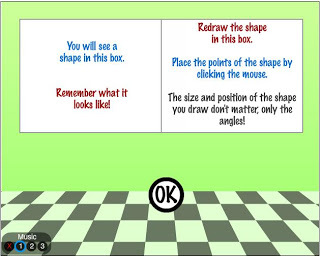 Like the drawing game in Brainage, you are briefly shown a shape and then you have to draw it based on memory. Play. A stroop test game that is very well polished. You're shown a word in a certain colour and you have to click on the colour of the word and not the name of the word. Play. 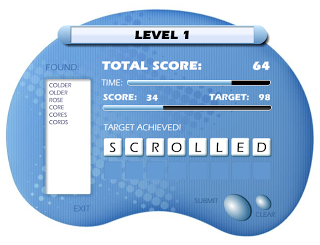 Find the target letter(s) on one side, but click their corresponding box (es) on the other side. Play. An interesting twist on the classic game of Concentration. 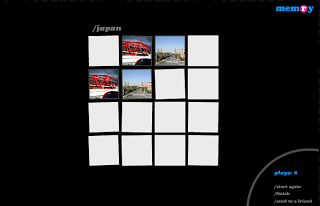 In Memry (that's not a typo), you flip over two cards at a time and try to match picture pairs. The picture pairs, however, are taken from random Flickr photos. You can specify a tag which will determine the pictures that will appear in your game. Play. Given 9 random letters, try to find the longest word. Play against opponents from around the world. Very fun. Play. Fit the pieces of pipe on the game board so the water can get to the drain. Oh and there's a time limit. Play. Get the key to the lock by removing tiles standing in the way. 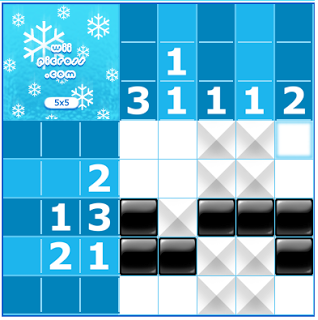 Remove by creating non-diagonal patterns of three or more tiles . Oh and there's a time limit and move limit. Play. 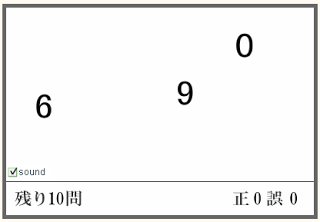 A special number is shown. 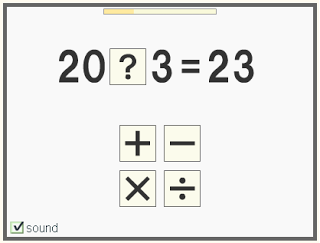 Click on two other numbers that either add, subtract, multiply, or divide to equal that number. Here. Try to remember a sequence of numbers that get longer and longer. Here. Polished flash version of a classic brain trainer. Within a limited time, spot the five differences in the two pictures. Here. 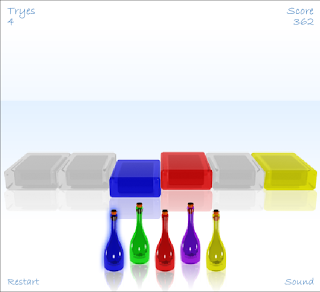 You are shown a box and presented with two words, one of which identifies the color of the box. 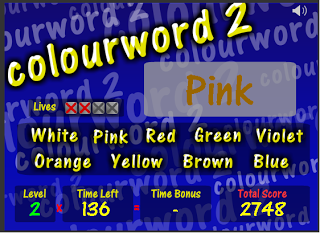 Press the left or right arrow key to select the correct word. Here. You'll be shown a list of words one word at a time. Afterwards, you'll be asked to write down as many as you remember. Here. Did you play Bandai handheld games as a kid? They were the DS's and PSP's of my generation. This one is a classic. 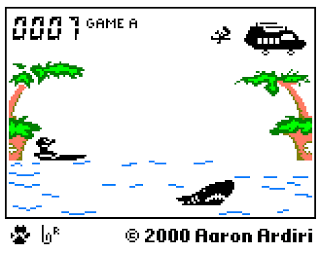 Using the left and right direction key, catch the falling parachuters or else they'll be eaten by the shark. Thank you Aaron for porting them to Java. Here. Stare at a red dot. Mouse click when it turns yellow. Your average time is calculated after 5 tries. Addictive. Here. 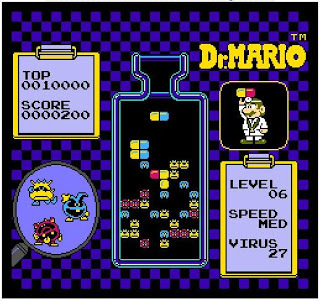 Don't know how long it will be before this site is taken down, but while it's available, brain train with Dr. Mario, a classic Nintendo game. IMHO, it's better than Tetris, but that's just me. Place the two-unit pills in such a way that you complete 4 units of the same color. Here. 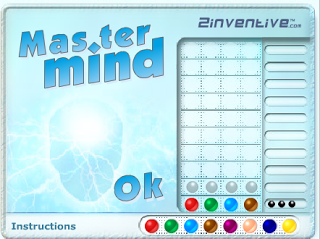 Like Mastermind, but with words. Guess the word. 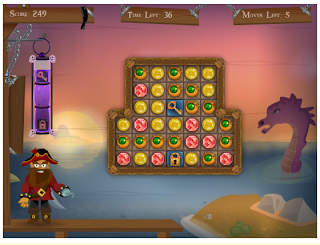 The computer will give you feedback about which letters were correct so you can fine tune your next guess. Here. Click on the circles to get rid of them. You can only get rid of a circle if it matches colour with the circle before it. Play. You are shown piano keys with different colors. The colors disappear. Do you remember the color of a certain key? 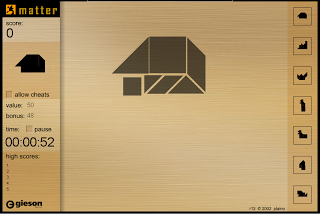 Exceptionally well-designed game. Play. 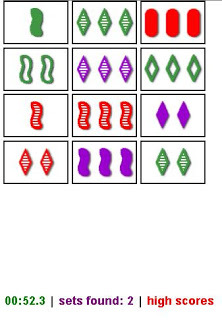 Guess the four colors and the order which they appear. 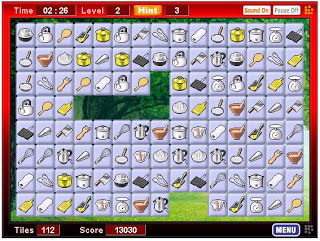 Classic logic game. Play. Try to make as many new words as possible in the time given. 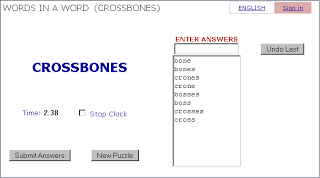 One of the best Boggle-themed games because of the level of competition. Play. Click on two white letters to swap them in order to make the right words. Play. Make words from the letters on the playing field. Each letter of a word must be adjacent to one another. Click on the last letter to submit. Play. 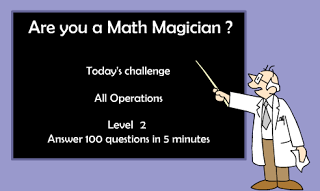 Click on either plus, minus, times, or divide to make the math statement true. Do it as fast as you can. 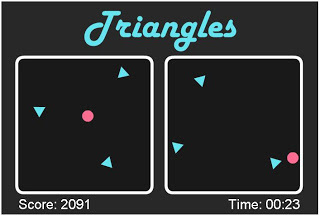 Once finished, the game will display your brain age. Play. Use the clue numbers on the side of the playing field to mark out a hidden picture. 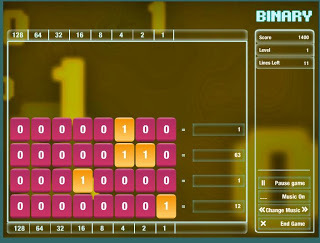 Like Sudoku meets Minefield meets Mastermind. 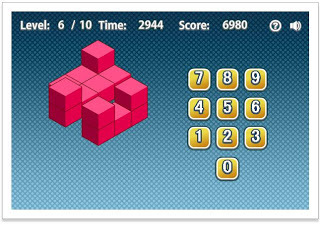 Play the best Tetris clone available. 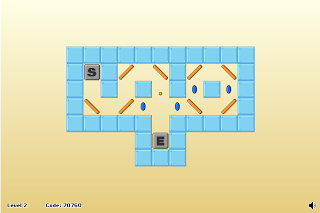 Use left and right arrow keys to move the shape. The up key to rotate. Play. 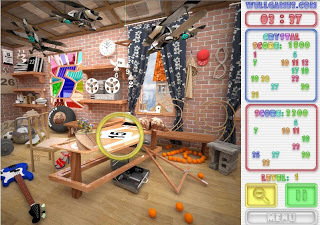 In first person view, paddle a ball back and forth against the computer. 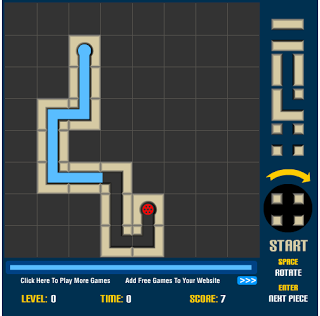 Brain trains: spatial intelligence, coordination, reaction time. Play: Decide the ideal position to place a shiny metal ball(s) and watch it will drop/bounce on intended target(s). Play. Flip a column or a row. When you flip, greens becomes black and vice versa. The goal is to get everything green within 10 seconds. Play. A very fun platformer with a Paper Mario-type twist. 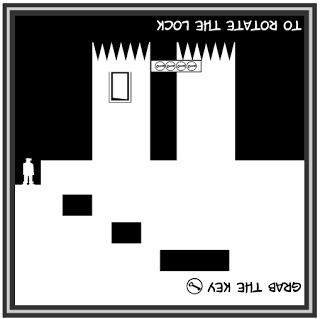 Press the shift key to shift your world view so that you play as black or upside down as white depending on the problem at hand. This dynamic forces your brain to simultaneously think right-side up and upside down. Play. You're a falling lamb and you must steer yourself into the path of colorful stars flying upwards. This game trains your spatial awareness because you're given a three-dimensional view instead of 2D. Finally, the more stars you get, the more money donated to a worthy cause - much like freerice.com. Play. 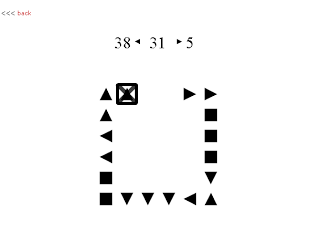 You're shown a bunch of numbers scattered about the screen. The screen goes blank. Next, you're shown placeholders where the numbers were and you have to click on the placeholders in order from least to greatest by the numbers they represented. Your brain age score is calculated after ten rounds. Play. 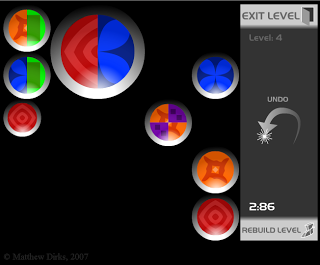 Only the left and right arrow keys are used to rotate the entire screen in order to move the ball to its destination. 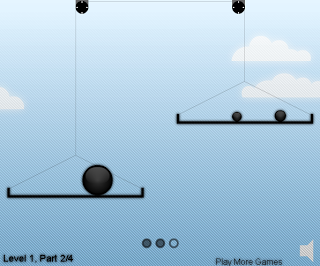 While it sounds easy, the reality of ball physics will make this an addictive brain trainer. Play. A good Bejeweled clone. 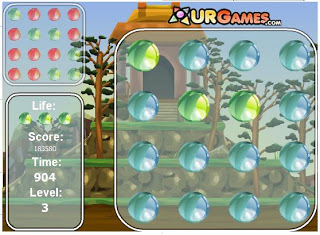 For those who don't know what Bejeweled is, you click on a fruit and then another either to north, east, west, or south of it. 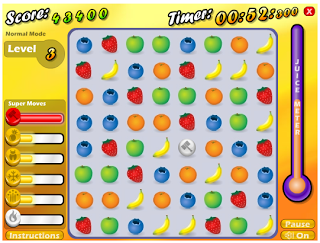 This causes the two fruits to swap in the hopes of making lines containing three or more of the same fruit. The completed lines are removed and surrounding fruit move to fill in the void. It gets really fun when combos happen. Play. 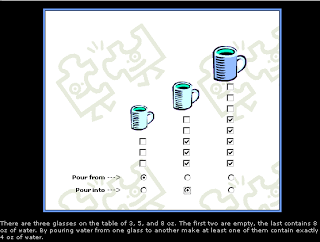 A modern take on the classic math logic problem where you're given pails of different volume capacities and you must use them to measure out a specified amount of water. Play. 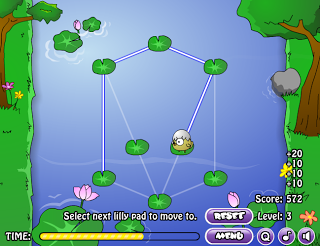 You control a frog that must hop from lily pad to lily pad. You must touch every lily pad, but you cannot retrace your steps. Play. Take the odd shapes in the white area above and place them so the entire yellow area below is covered. 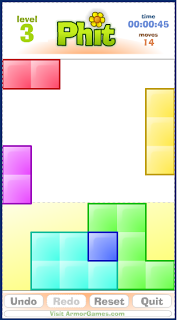 It's like tangrams meet Tetris. Play. You're required to make all the tiles light up. This is done by moving the sphere. 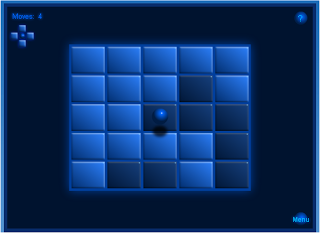 Whenever the sphere is over a tile, the four adjacent tiles to the north, east, west, and south of it are toggled to their opposite: dark tiles are lit, lit tiles are turned off. Do. 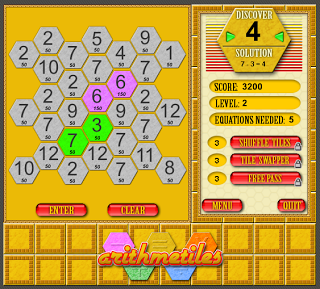 Try to do 100 arithmetic problems in 5 minutes. 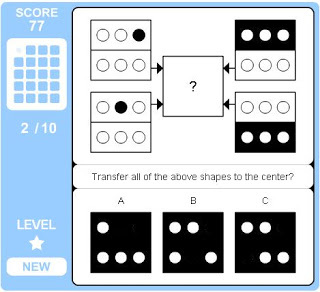 Great Brain Age replacement to train mental math skills. Did them in under 2 and half minutes. Try to pwn me. Play. 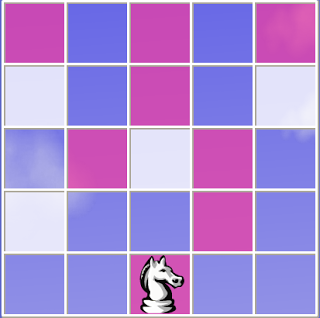 For those who play chess, you know how the knight/horse moves in an L shaped pattern? Use that type of movement to turn all the white squares purple. The blue square are off limits. Play. You're given 8 letters and you have to make as many new words from them as possible (think Text Twist). Get extra points if you can unscramble the letters and find the 8 letter word before the time runs out. The idea isn't new, but the presentation is flawless. Play. 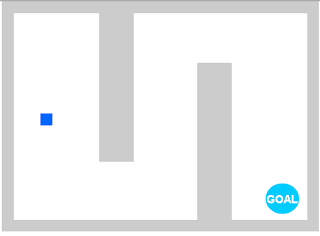 Using your mouse, move the object through the maze, to the goal. Oh, one more thing. If your mouse moves left, the cursor moves right, and vice versa. You have to will your brain to do the opposite of what it's been conditioned to do. Play. Get points for clicking on four icons of the same type in such a way that they represent the four corners of a square or rectangle. 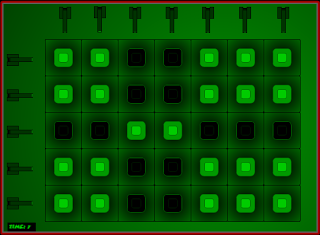 The bigger the square/rectangle, the more points you get. Play. Assemble various smaller shapes into a predefined big shape. Play. Move the nodes around until no strings overlap. Play. You're a black square. 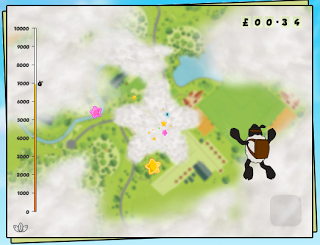 Gain points by touching any other black object in the game. 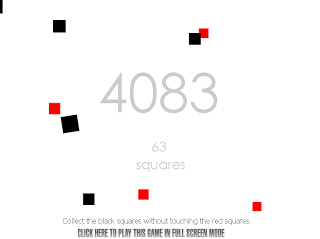 Black squares give you more points and black circles give you bonuses. Stay away from red things. 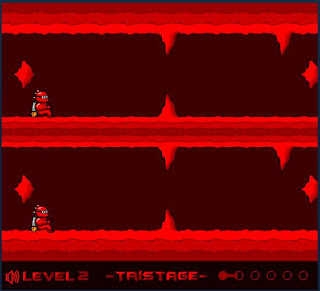 Red squares kill you and red circles curse you. Play. Guide the constantly moving ball to the exit. The only way to steer the ball is by toggling the panels to guide its direction. Play. Using only left mouse click, move the charge (as represented by the light blue ring) inwards until it reaches the nucleus. Movement of the charge is possible only when the two revolving electrons are close to one another. Play. Click on the icon which was the newest addition to the screen. Sounds easy, but once the screen starts filling up, you're forced to keep track of what came before. Play. You control a formation of cute, chubby babies. Your job is to get them all to stand up by clicking on them. When you click a baby, any other baby to the north, east, west, or south of it is affected. If the other(s) baby is crouching, it will stand. If it is already standing, it will crouch. Cute way to train you brain. Play.The red nodes are connected to one another by lasers. 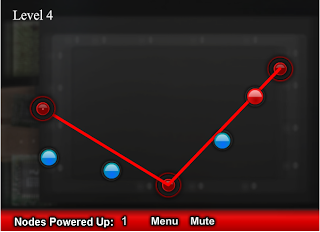 Drag the red nodes so the lasers pass through each and every blue node. Play. 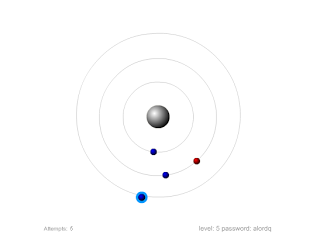 Your job is to balance the scales by creating balls with different masses to offset the computer-generated load. The difficulty lies in the fact that you only have a limited number of tries. Play. 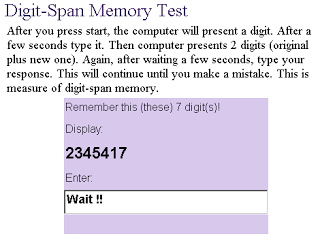 Given a screen full of multi-colored, multi-sized numbers, you must click them in order from least to greatest before the time runs out. Play. Press the corresponding arrow key when you're shown it, and press space bar when you're shown a square. That's all there is to it. Oh and every mistake you make, you lose 5 seconds. Every round you pass, you gain 10 seconds. 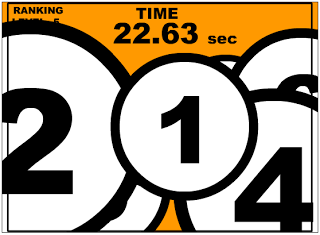 Try to get as much points as you can before time runs out. Simple, yet elegant with a hypnotic soundtrack. Play. A simple concept, but powerfully addictive. 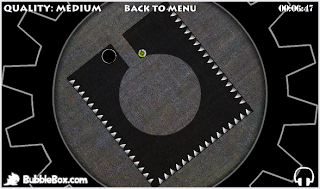 You're a big dot that gets around the screen using the arrow keys. Touch as many squares as possible. Avoid small dots. The catch is: for every square you touch, another small dot appears. Try to get 135 points. That's my high score. Play. 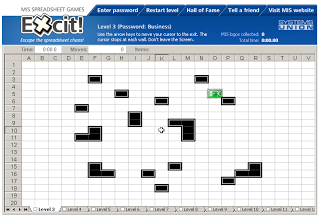 Really fun game that uses an excel spreadsheet as its backdrop (sorry if your boss walks by, it looks like you're doing work). 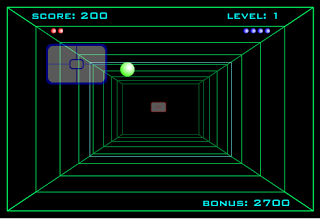 Using the arrow keys, the object is to guide the ball to the green ex(c)it. 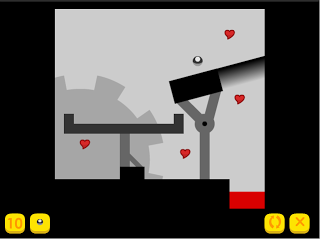 Once it starts moving, the ball won't stop so you have to steer its path using immovable objects randomly placed on the game screen. Play. 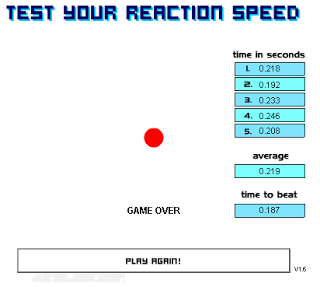 Using the left and right arrow keys, steer clear of objects coming at you at what seems to be a million miles per hour. Play. 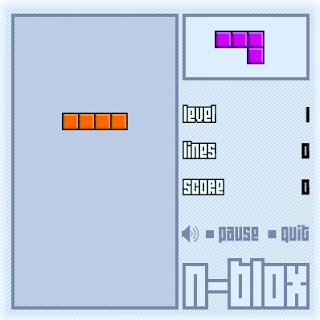 Frustrating, but in a good way type of game where your left hand controls the gray block and your right hand controls the fence around the gray block. Move both to the goal. 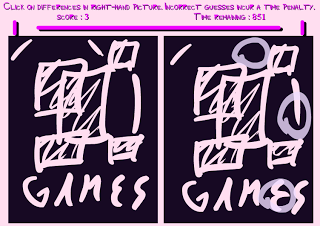 This game works because it demands us to coordinate both hemispheres of the brain. Play. 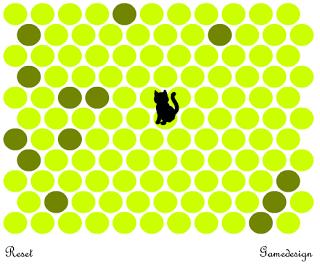 Turn-based game (you and the computer take turns making a move) where you must keep the cat from escaping the play area by clicking light green circles to make them dark. The cat cannot step on dark green circles. Play. 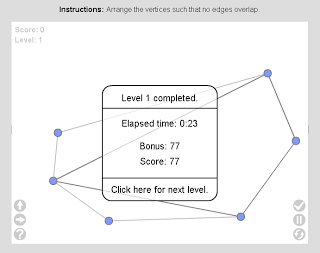 Interesting game created by Cisco Systems to train their own techs. 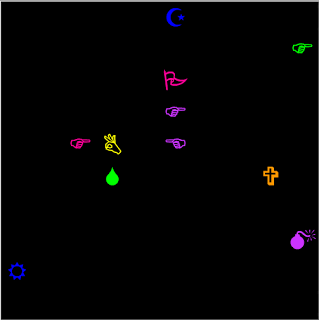 The game involves converting bytes into whole numbers or the other way around. 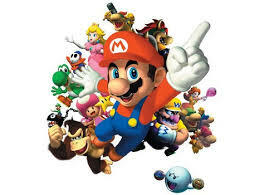 Has a Tetris-like feel because if you're slow and the bytes get too high, game over. Thanks to Jessica Bridges, for informing that the cisco link is broken and giving an working alternative link. Play. 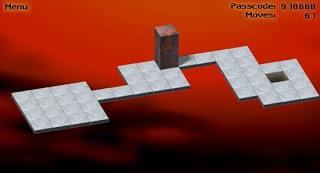 Very well-made puzzle game which involves moving a brick into a hole. Next Next post: How To Make Your Blog Load Faster ?